If you’re a member of an in-house marketing team, or are a business owner, you can can probably relate to some of the struggles of working with an agency at one point in your life. Often times when you work with an agency, account managers run the show. In doing so, key contributors to a clients’ marketing efforts are often left out. This is at no fault of the account manager themselves, rather, the system in which most agencies operate. As the marketing specialist on the agency side, or the business leader seeking the marketing services, you have to go through a laundry list of people to execute your marketing objectives. Many times, instead of talking directly to the person you’re counting on to execute, you’re left with playing a game of telephone with the account managers. Bringing painful flashbacks yet? Having been on the opposite side of the spectrum working as an SEO specialist with many marketing teams, I can say that it is equally as frustrating not having easy access to the subject matter expert you’re relying on for your campaign’s success. And having adequate access to the subject matter expert can make or break your marketing efforts. 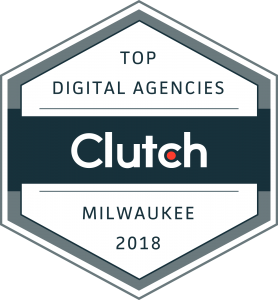 Being aware of these frustrations, one of the things I seek to change is the agency model that’s practiced by many Milwaukee-based and national marketing agencies. My company, Bite Sized Media, is a small enough team where you have access to our well-rounded online marketing specialists carrying out your campaigns. Without all of the agency hierarchy fluff that tends to get in the way of results. And many times, people don’t even know that this is what is hindering their success. Having worked at several agencies in the Milwaukee area in my career so far, I can say that this has been a recurring theme, so it’s not uncommon. At Bite Sized Media, we don’t just do “SEO” or “social media marketing.” We don’t believe account managers should have to play telephone all day with the internal teams on both sides, ready to pull their hair out by the end of the day. We don’t believe in having our marketing specialists and client marketing executives having to go through a chain of command just to ask simple questions from one another and never building a good business relationship (which is basically the foundation of everything). We’ve practiced being well-rounded online marketing strategists for the past decade. That means that we take a step back and get to really know about your business, not just bits and pieces, by acting as both the account manager AND the marketing specialist. We want to get a 360° view of your marketing efforts so we can be effective as possible and get you where you want to be by eliminating confusion and missed opportunities for communication. If this is something you’ve struggled with or are currently struggling with, get in touch with us to see how we can help you by setting up a free consultation.